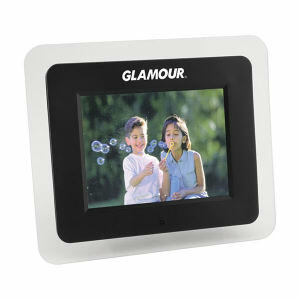 Digital cameras are used by everyone nowadays, from amateurs to professionals, and custom promotional digital photo frames are the best way for people to display their digital photos. 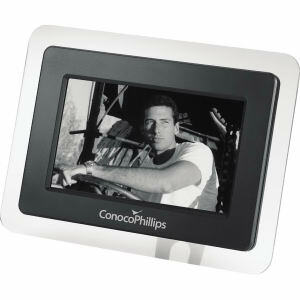 Our selection of custom digital picture frames will give your brand a picture perfect gift for clients and colleagues alike. Stylish and fun personalized digital photo frames promise their recipients a trip down memory lane while also displaying your logo. 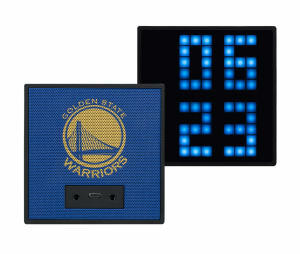 Whether displayed in the office or at home, these custom digital picture frames will be constantly looked at and admired. Give clients a custom printed promotional photo frame and help them easily display their digital photos around the home or office. Even better, you can load a ton of photos into one frame and have them cycle in a slideshow format. 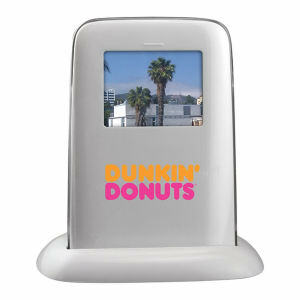 Soon every picture will be adorned with your imprinted corporate logo and name on their new digital photo frame!